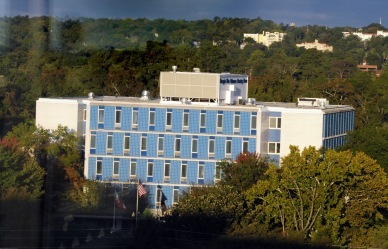 AUGUSTA, Ga. – Georgia War Veterans Nursing Home has been ranked in the nation’s top 15 percent among senior health care providers for patient satisfaction, earning the 2015 Customer Experience Award™ from Pinnacle Quality Insight, a nationally recognized customer satisfaction firm. Pinnacle conducts more than 100,000 surveys each year while working with more than 1,500 clients in 47 states to determine how their patients and families evaluate them. Customers gave Georgia War praise in nearly a dozen distinct categories, including cleanliness, safety and security, nursing care, food quality, individual needs, admission process, and overall satisfaction. “We believe the men and women who have served our country deserve the best care we can provide them, and this award demonstrates our dedication to excellence in patient care. It is truly an honor to be recognized,” said Charles Esposito, Executive Director of Georgia War Veterans Nursing Home. 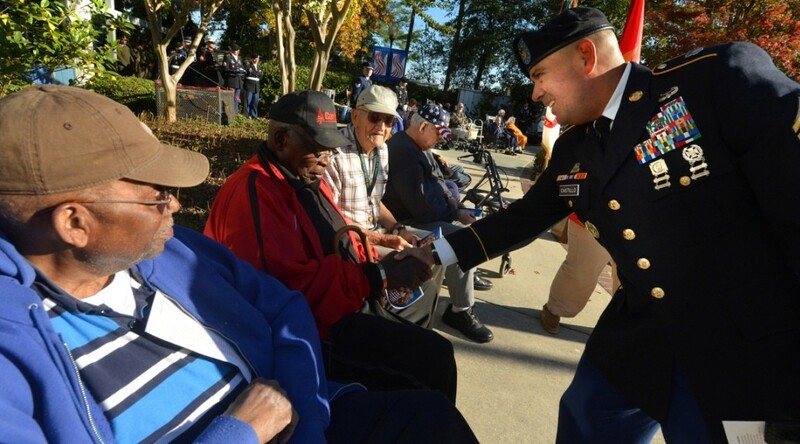 Throughout its 45-year history of serving the veteran community, Georgia War Veterans Nursing Home has placed a strong emphasis on ensuring that the individual needs of every veteran patient are met. By partnering with Pinnacle to conduct monthly surveys and interviews with patients and families, the organization has been able to measure how effectively it carries out this mission. Pinnacle Quality Insight is a satisfaction measurement firm in Salt Lake City, Utah, with more than 18 years of experience in long-term healthcare. Pinnacle, an approved vendor for HH-CAHPS® and Hospice CAHPS®, specializes in phone surveys for the hospice and senior health care industry. For more information, visit pinnacleqi.com. Georgia War Veterans Nursing Home is a skilled nursing care facility owned by the Georgia Department of Veterans Service and operated by Georgia Regents University. 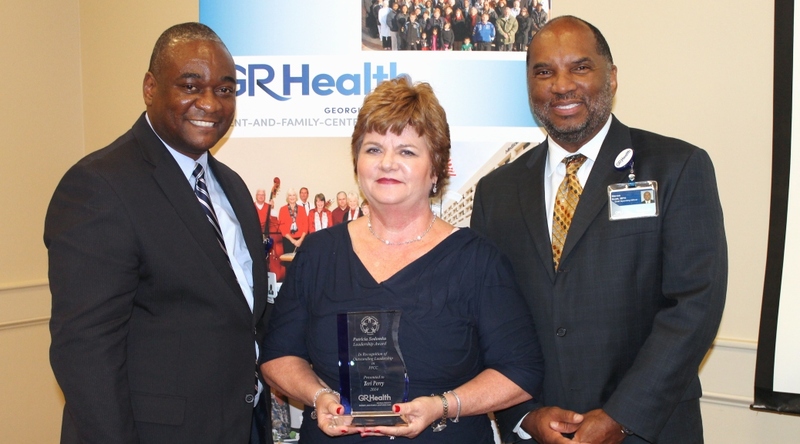 Teri Perry, former Vice President of Adult Patient Care Services at Georgia Regents Medical Center, received the 2014 Patricia K. Sodomka Leadership Award for Patient- and Family-Centered Care during PFCC Awareness Month in October. 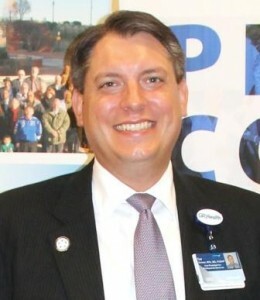 The award is named for the late Pat Sodomka, who served as Senior Vice President of Patient- and Family-Centered Care for the hospital and Director of Georgia Regents University’s Center for Patient- and Family-Centered Care. An internationally recognized advocate of PFCC and longtime hospital executive, Sodomka died in 2010 following a four-year battle with breast cancer. 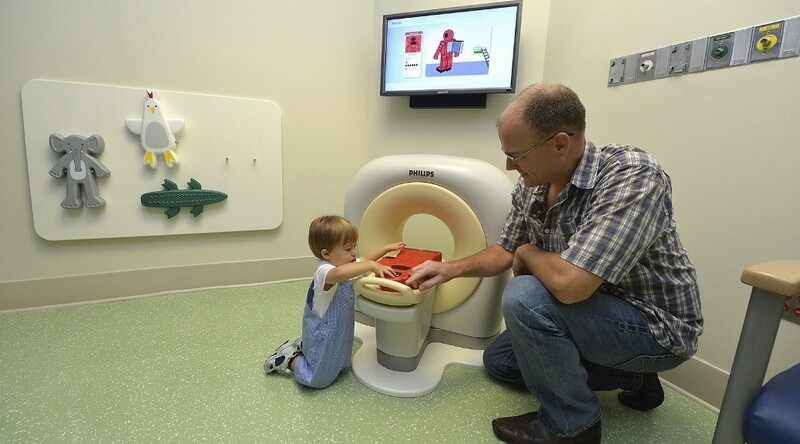 PFCC means partnering with patients and families in their personal health care decisions. By partnering with patients and families – not only involving them in decisions about their care, but also gaining the benefit of their help and insights to better plan and deliver care – hospitals can improve patient care, achieve better outcomes, and increase employee satisfaction. “Mrs. Perry has been an ambassador for our patients and families since she joined the health care team in 1994. She symbolizes PFCC and is very deserving of this award, from ensuring the training of more than 2,500 employees in PFCC practices to paving the way for a patient advisor to be appointed to the hospital’s ethics council – something that’s rare in health care,” said Erica Steed, Manager of Patient and Family Engagement. Perry also is credited with helping implement a new Quiet Time practice during designated hours at the adult hospital, and she has represented Georgia Regents University at numerous national conferences and events, educating other health care professionals in PFCC and presenting best practices. Perry joined the medical center as Nurse Manager of the Cardiac Care Unit and was promoted to various nursing leadership positions during her tenure, assuming the VP role in 2006. She retired Oct. 31 after 20 years of service to the medical center. Also during PFCC Month, Tad Gomez, Vice President for Professional Services, was recognized with the PFCC Ambassador Award. 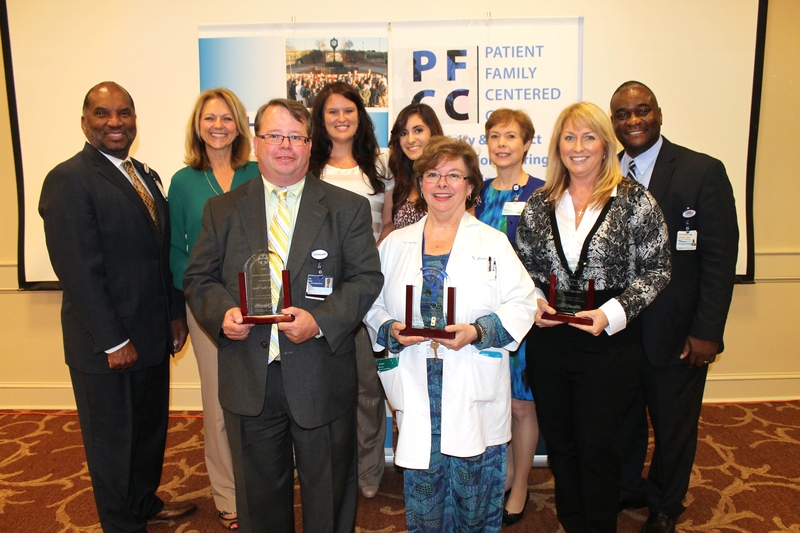 Georgia Regents Medical Center Vice President and COO Steven Scott (back row, far left) and Administrative Director for Patient- and Family-Centered Care Bernard Roberson (back row, far right) presented 2014 Family Choice Awards to (front row, l-r): Jim Rush, Dr. Cheryl Newman and Mary Alice Bell; and (back row, l-r) Debra Marranci, Katie Steiner, Ana Quinlan, and Donna Vasil for exemplifying the values of Patient- and Family-Centered Care. GRMC is recognized as a pioneer in PFCC by the American Hospital Association and the Institute for Patient- and Family-Centered Care. 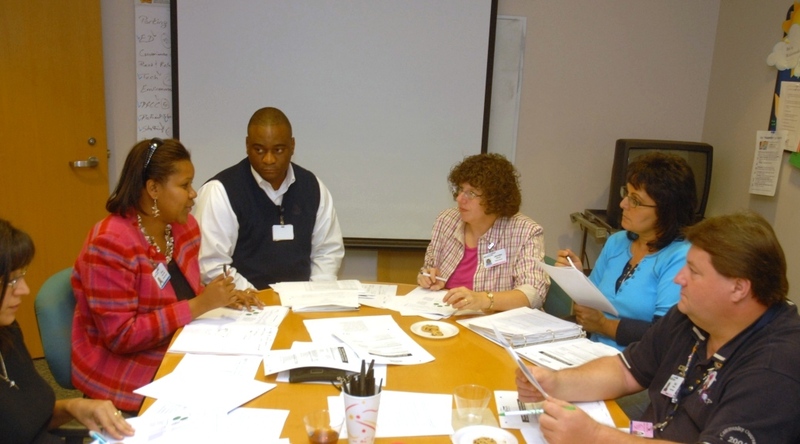 As one of the largest such programs in the country, the hospital has more than 150 trained patient and family advisors who sit on councils, quality and safety teams, and facility design processes. For more information on the Patient and Family Advisory Councils or PFCC, please contact the Department of Patient and Family Engagement at 706-721-PFCC (7322). Want to provide better service to our patients and guests? 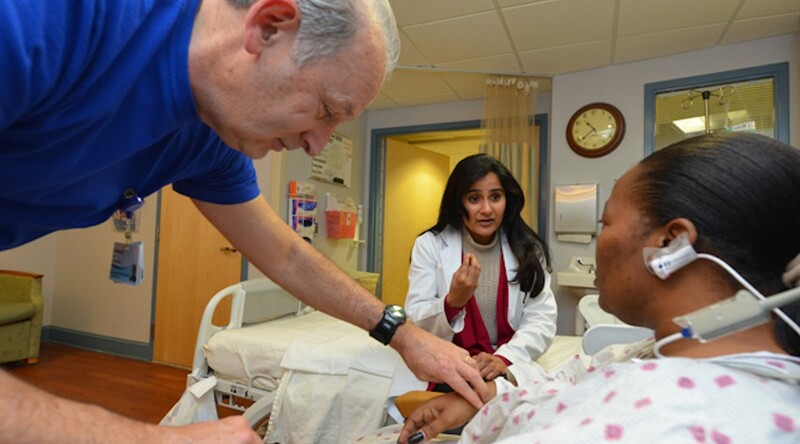 Use the tools of Patient- and Family-Centered Care. Brush up on your PFCC skills at the annual PFCC Conference this week. Two duplicate sessions will be offered from 1 to 5 p.m. Thursday, Oct. 9, and from 8 a.m. to noon on Friday, Oct. 10. Keynote speaker Dr. Bryan K. Williams, President and CEO of BW Enterprises and a former global trainer for the Ritz-Carlton Hotel Company, will discuss how to apply the “platinum rule” in the patient care setting. Faculty, staff, and students are encouraged to attend and can earn continuing education credit for either session. For more information on the conference, contact PFCC Coordinator Nicole Johnson-Boatwright at NIJOHNSON@gru.edu or 706-721-6838. AUGUSTA, Ga. – Caregiver Action Network – one of the nation’s leading family caregiver organizations – has named Georgia Regents Medical Center to its list of 25 of the Nation’s Best Practices in Patient and Family Engagement. 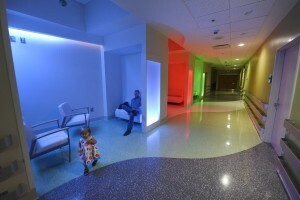 Only nine U.S. hospital systems were recognized, and the medical center was the only one in Georgia. In addition, six health care employees and 10 individuals i n the patient/caregiver category rounded out the list of honorees. Formerly the National Family Caregivers Association, CAN is a non-profit organization providing complimentary education, peer support, and resources to family caregivers across the nation in order to improve the quality of life for more than 90 million Americans who care for loved ones with chronic conditions, disabilities, disease, or the frailties of old age. From April through June CAN sought nominations through the “Advancing Excellence: Best Practices in Patient and Family Engagement” program. Evaluators, which included former U.S. Surgeon General Dr. Richard Carmona, were looking for innovative programs that help ensure healthier outcomes for patients. Key elements common to best practices include actively listening to patients, creating genuine partnerships between providers and family caregivers, patient initiative, professional transparency, consistency, and the willingness to learn from mistakes. Click HERE for a list of CAN’s 25 Best Practices in Patient and Family Engagement or visit CaregiverAction.org for more information about the Advancing Excellence program. Dr. Bryan K. Williams, entrepreneur and former Ritz-Carlton global trainer, is keynote speaker at the annual PFCC Conference on Oct. 9 and 10. Georgia Regents Medical Center is recognized as a pioneer in PFCC by the American Hospital Association and the Institute for Patient- and Family-Centered Care and is one of six national models in PFCC as selected by the Picker Institute. PFCC means partnering with patients and families, not only in their personal health care decisions, but in using their experiences and insights to better plan, deliver, and evaluate the care for others. 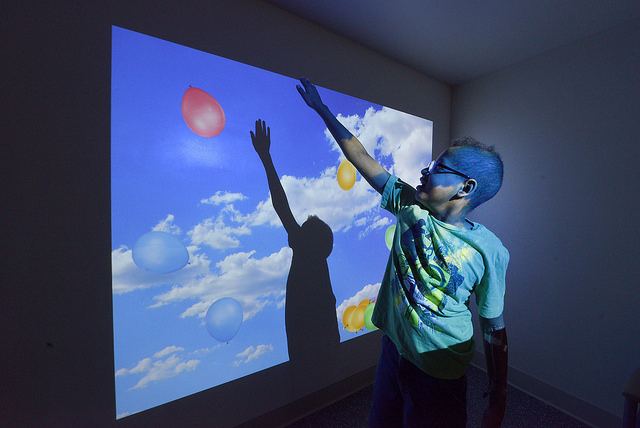 One of the ways the hospital keeps patient engagement top of mind is through its annual Patient- and Family-Centered Care Conference during PFCC Awareness Month in October. Two duplicate sessions will be held from 1 to 5 p.m. Thursday, Oct. 9, and from 8 a.m. to noon on Friday, Oct. 10. Keynote speaker Dr. Bryan K. Williams, President and CEO of BW Enterprises and a former global trainer for the Ritz-Carlton Hotel Company, will discuss how to apply the “platinum rule” in the patient care setting. Area health care workers are encouraged to attend and can earn continuing education credit for either session. For more information on the conference, contact PFCC Coordinator Nicole Johnson-Boatwright at NIJOHNSON@gru.edu or 706-721-6838. Save the Date for the eighth annual Patient- and Family-Centered Care Conference, where “Reshaping the Behaviors of Patient- and Family-Centered Care” will be the theme. The conference will be held Oct. 9 and 10 at the Natalie and Lansing B. Lee Jr. Auditorium on the Health Sciences Campus. This year’s keynote speaker will be Dr. Bryan Williams, a service consultant, trainer, and author. His specialty areas include service excellence, employee engagement, and quality improvement. For more information or to register, visit paws.gru.edu/pub/patient-family-engagement/pfcc/Pages/default.aspx. The car wash will take place on Friday, Aug. 15, 11 a.m. to 3 p.m., in the old Sports Medicine parking lot at 937 15th St. It is the rounded building across the street from the VA.
Just show up and let them take care of your car. AUGUSTA, Ga. – What was first thought to be a carpal tunnel issue turned out be a life-changing diagnosis for Jenell Gardenhire. “My hand and wrist were hurting, and doctors put a brace on my arm. I also had some injections,” said Gardenhire, then age 17. But the pain continued, and she was always feeling tired. So her pediatrician tested her, and it turned out to be lupus, a chronic, autoimmune disease in which the body attacks itself, damaging the skin, joints, kidneys and blood. You can hear from patients affected by lupus and medical specialists who treat the disease at the annual Augusta Living with Lupus Symposium from 1 to 5 p.m. Saturday, March 22 at the Georgia Regents University Alumni Center. Symptoms vary from fatigue and rashes to hair loss, mouth and nose ulcers, and anemia. Other problems can include lung or heart inflammation, arthritis and blood clots. It’s often called the disease with a thousand faces, because you never know how it will manifest itself. Since being diagnosed six years ago, Gardenhire has experienced kidney trouble, joint pain, and frequent bouts of fatigue. But she did not let it keep her from graduating from John S. Davidson Fine Arts School and Georgia Southern University. “My experience has been up and down. I never know how I’m going to feel when I wake up,” said the 23-year-old elementary school teacher. “But I’ve had a lot of great support so far,” she says, giving credit to her faith, friends, and family, including a cousin who also has the disease. In addition, her support system includes the experts at the Georgia Regents Lupus Multi-Specialty Clinic. “They explain things well and answer all of my questions. The doctors and nurses work together to treat me, and that’s one of the reasons that I am able to cope,” said Gardenhire. The Lupus Foundation of America estimates that 1.5 million Americans have a form of lupus, and the disease affects 10 times as many women as men. There is no cure and treatment can be challenging. For more information or to register for the Living with Lupus Symposium, call the Lupus Foundation of America’s Georgia Chapter at 770-333-5930 or visit lupusga.org. 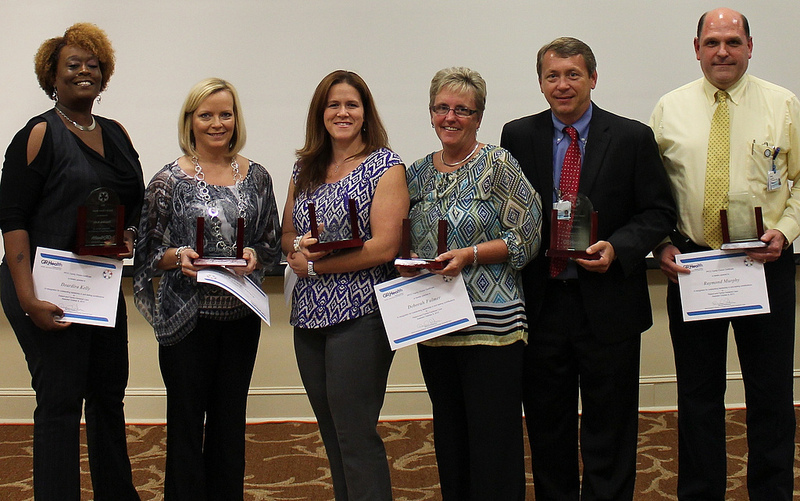 Nine Georgia Regents Health System professionals were recently recognized for demonstrating collaborative and supportive partnerships with patients and families during the seventh annual Patient- and Family-Centered Care Conference in October.